Non Non Biyori is an anime about daily life (or slice of life). The anime takes place in a Asahigaoka. There are 4 main characters in the anime and of them are females. The TV anime was aired from October 8, 2013 to December 24, 2013 with 12 total number of episode. It also has 1 additional episode on OVA which was released at July 23, 2014. My impression about the story is very peaceful but also very entertaining. The 4 main characters attend the same school and same class but all of them are actually on different grades. It might sounds weird for you but that is something you might find on remote locations in Japan. There are several location in Japan where the population is so low. So low that there aren’t many kids in school age either. It feels sad but that is quite a fact in Japan. 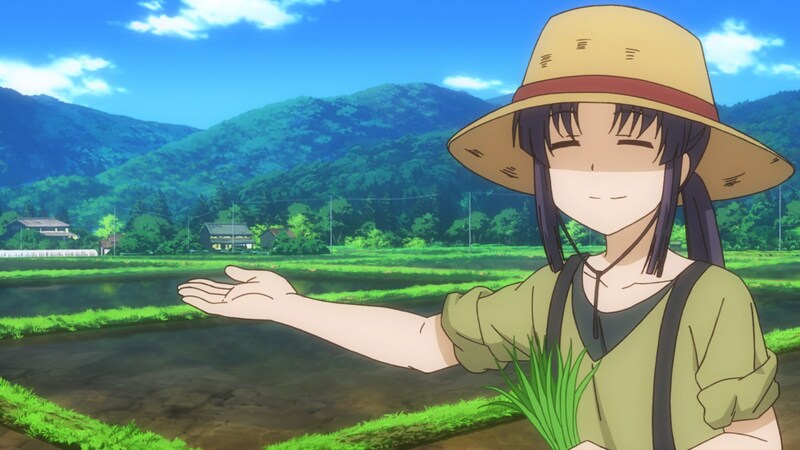 Now let’s forget the sad story of Japan and dig more into Non Non Biyori. 4 main characters in the story are Miyauchi Renge, Ichijou Hotaru, Koshigaya Natsumi, and Koshigaya Komari. There are more characters as well who support the story. The story itself follows their interesting daily life and adventures. It’s mostly comedy and I’d say it’s really funny. 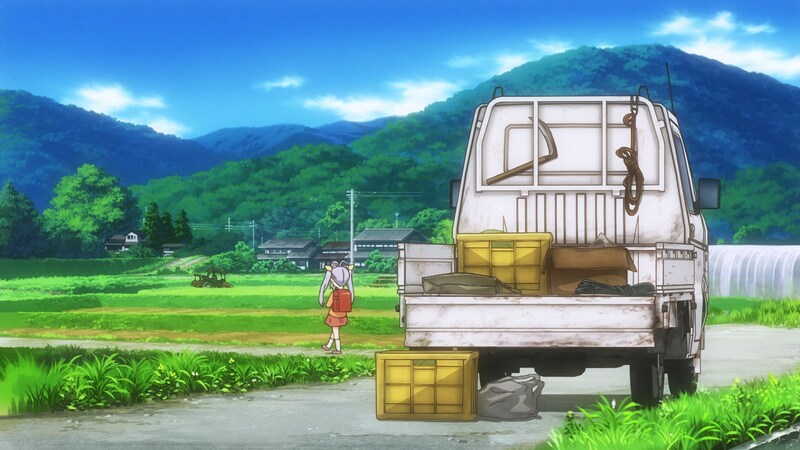 The image quality of Non Non Biyori is excellent. Silver Link, the studio who produces this anime really put a serious effort into this even for an anime about daily life. I really appreciate and enjoy the beauty of the image quality. The environment in the story is so green and beautiful. It looks very relaxing. The character design is cute. 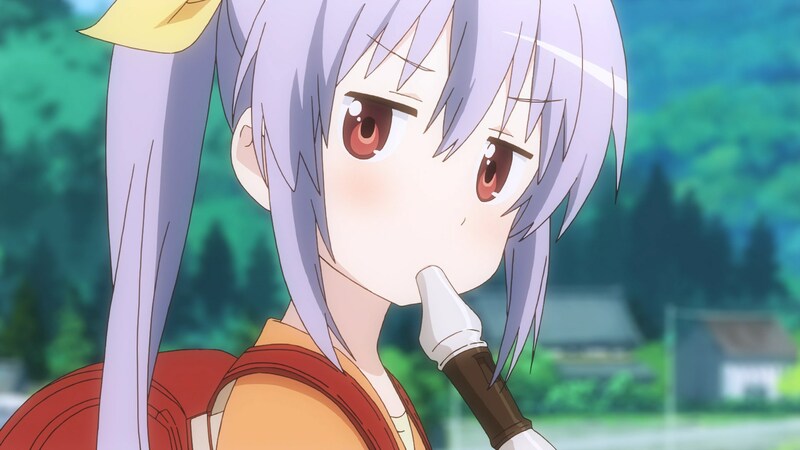 Renge looks expressionless but also childish. Hotaru looks beautiful and gentle. Natsumi looks easygoing. Komari looks cute and childish. Every character design matches their personality. Personally, I really like the design. The theme songs and BGMs are also peaceful and relaxing, just like the story itself. They are excellent and fit the story nicely. The opening theme is 「なないろびより」 (“Nanairo Biyori”, literally means Rainbow-colored Weather) by nano.RIPE. It’s a relaxing song. 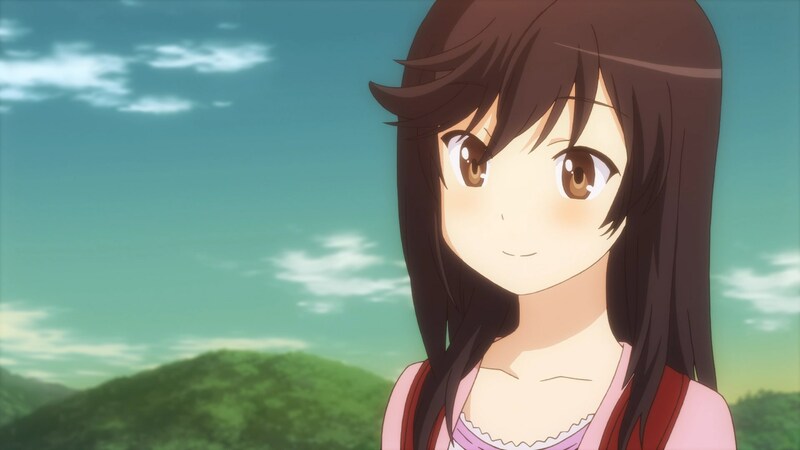 Combined with the cheerful opening animation of Non Non Biyori, they make a good combination of song and animation. The ending theme is 「のんのん日和」 (“Non Non Biyori”) by Koiwai Kotori, Murakawa Rie, Sakura Ayane, and Asumi Kana. The song is also nice. Combined with the ending animation, it leaves a nice impression. Now let me explain more details of every character and their seiyuu. I will divide the characters by two part, main characters and supporting characters. A little girl with twintail hairstyle. 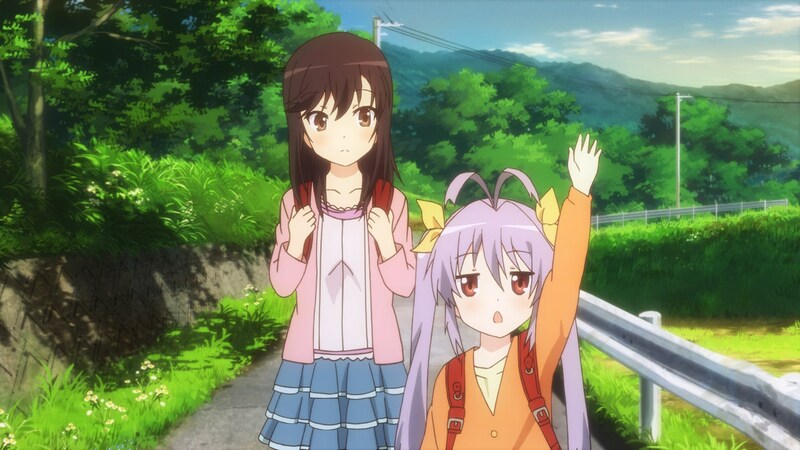 Renge is in 1st grade of elementary school in the beginning of the story. She is the youngest child of Miyauchi family. Renge greets others with “Nyanpasu”, a phrase with no exact real meaning. She also has a unique way of speaking. Mostly her sentences end with Non, Nan, or ~n. She seems expressionless but actually she acts just like common kids in her age. Koiwai Kotori did awesome as Renge although she is still quite new in seiyuu industry and only have a few major roles before this. Her voice as Renge is totally different than her normal voice but she can do it nicely. Hotaru lived in Tokyo before moving Ashigaoka. Since the lifestyle are very different, Hotaru must adapt with her new life. Hotaru is in 5th grade of elementary school. Her height is 164 cm which is very tall for someone on her age. She seems more mature than other main characters although she is still very young. Although she looks mature, her personality is actually quite normal for a girl around her age. Murakawa Rie did excellent as Hotaru. I find it very surprising about how capable she is. Rieshon’s normal voice is kinda annoying to my ears. However, when voiceing Hotaru, her voice is very gentle. It makes Hotaru so lovely and charming. Natsumi is the youngest child of Koshigaya Family. She is carefree and easygoing but also lazy to study. She likes to tease her older sister, Komari. Natsumi is in the 1st grade of middle school in the beginning of the story. She is the most normal character in terms of appearance and personality for a girl around her age. Ayaneru has what it takes to make Natsumi’s voice live up to Natsumi’s personality. Komari is Natsumi’s elder sister. She is also the oldest main characters although her appearance is hardly convincing. She is in the second grade of middle school. Her height is just about 140 cm which makes her really short for a girl around her age. She always try to act like a mature woman because she is the oldest of the four. However, she is also very clumsy and that makes her looks childish instead. Asumi Kana’s voice brings Komari’s cuteness out of her. She also makes her so innocent and lovely. Asumi Kana is the oldest voice actress of the main characters . Her experience proved to be worth here. Her lovely and innocent voice really breath a life to Komari. Kazuho is the school teacher of Renge, Hotaru, Natsumi, and Komari. She is very fond of sleeping and seems irresponsible as a teacher. Usually, she just attend to the class to sleep and let her students study by themselves. Nazuka Kaori did very good as her. She sounds so lazy just like what Kazuho should be. Kaede is the owner of a candy store. The kids usually call her Dagashiya (literally means “Candy Store”). 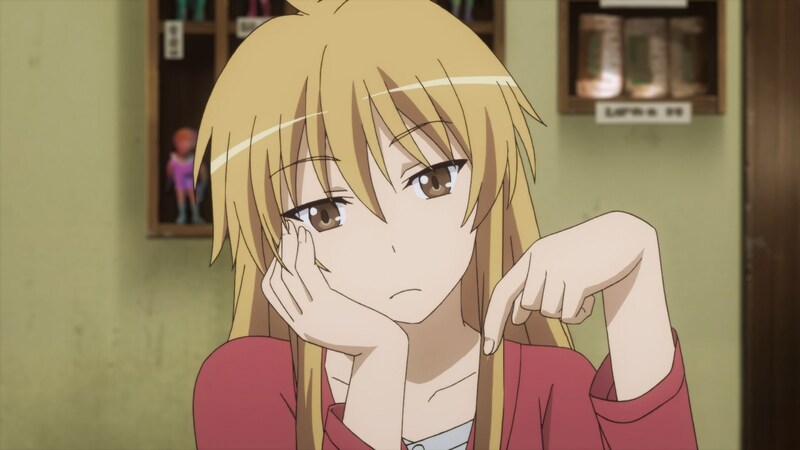 She seems like someone who doesn’t care with others but actually she cares with Renge. Satou Rina is one of the best voice actress according to my ears. She also did very good here although she does not sound as excellent as the others. Perhaps she could do even better if a more important role were given to her. The older brother of Natsumi and Komari. Suguru never talk at all in the anime which is the reason he has no voice actor. He is more like just a decoration in the show. Other than these 3, there are more supporting characters as well like Fujimiya Konomi, Miyauchi Hikage, and Koshigaya Yukiko. But I consider their part as minor. So, I won’t go into their details or this post might end up very long. 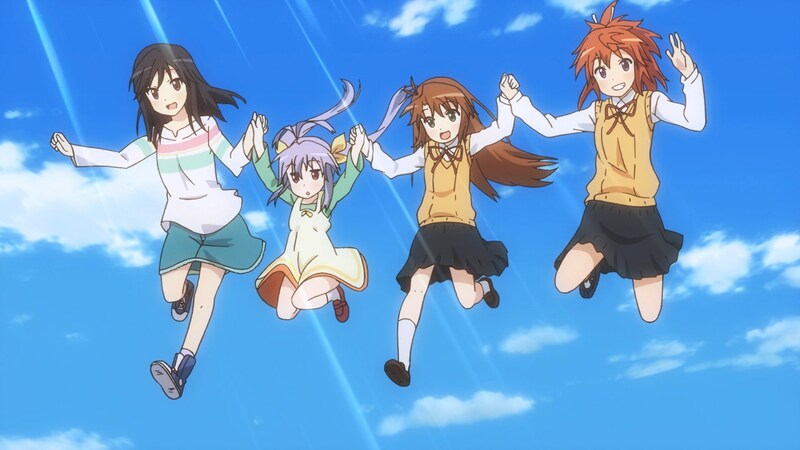 Overall, the characters are what make Non Non Biyori so good and entertaining. The main strength of this anime to built the strong impression is the characters. Of course, the voice actresses take more part in this anime as well. 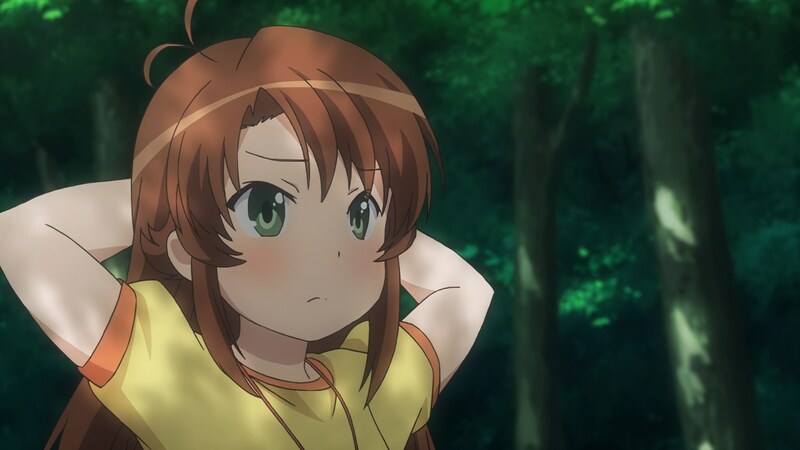 Non Non Biyori is a very entertaining anime that many people from different ages can enjoy. The main strength of this anime to built the story is the characters. The animation is also very beautiful. The music fits the situation nicely. The character design is really cute and attractive as well. The voice acting is the best I’ve ever heard from all anime I’ve ever watched. The voice of the voice actresses really become one with the characters. There is nothing I could consider as weakness in this anime. They are excellent everything. I’d say this is one the best anime in 2013. You will not regret watching this anime. In fact, you might feel that 12 episodes and 1 OVA are not enough. 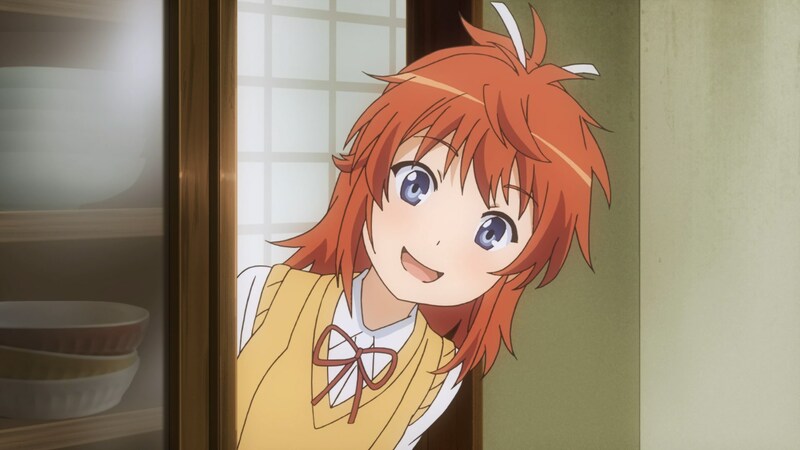 But the good thing is, there is a new season called “Non Non Biyori Repeat” in 2015. Once again, we can see more peaceful and refreshing life in countryside.